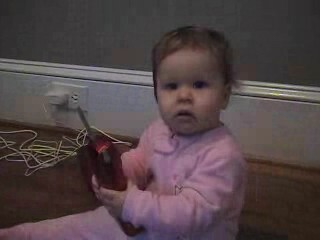 Mara is beginning to learn already that she will spend a lot of her life on the telephone. She is starting to mimic holding the phone up to her ear. Although she tends to always hold it backwards, who knows why. This is just a cute, short video.